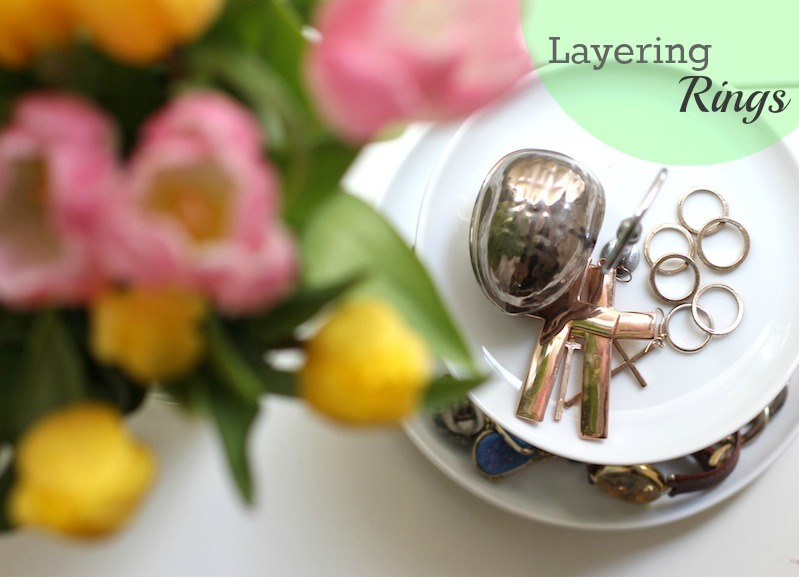 Obviously everyone has their own style and rule when it comes to jewelry or how to layer it – so do i. During the summer i became a huge fan of those big chunky statement necklaces but for some reason i literally avoided wearing jewelry in general - I don’t know why but it happens every now and then that i’m not in the mood to go through my whole jewellery collection and pick out accessories for my outfit. 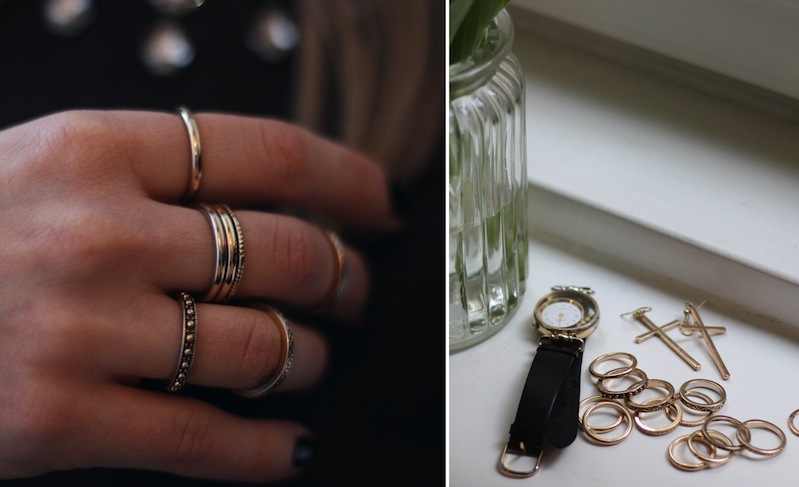 But in the last couple of weeks i’ve been very drawn to one specific trend: skinny rings. Instead of wearing a big statement ring i honestly prefer those delicate ones. I’ve been big fan of this type of jewelry – especially the layered look is my favorite which I think adds a little bit more „drama“ to your hand. That’s why i’ve been on the hunt for those delicate thin rings and finally found exactly what i was looking for. I hardly ever wear jewelry on my fingers but at the moment i really enjoy wearing them. (I got those tulips from my mom which is obviously the best way to bring a burst of spring into your home! I love the ring displayed above. I personally love silver jewelry but I love the fact that when my husband chose my engagement ring, Marquise shaped stone set on white gold with yellow gold band. I absolutely loved it. He purchased it from Loyes Diamonds. The Gold ring is very pretty, but I do not have anything in that color. I do mix my metals, I have a dual silver/gold toned watch that I wear every day.